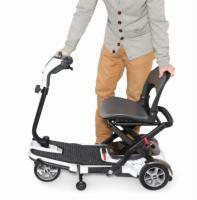 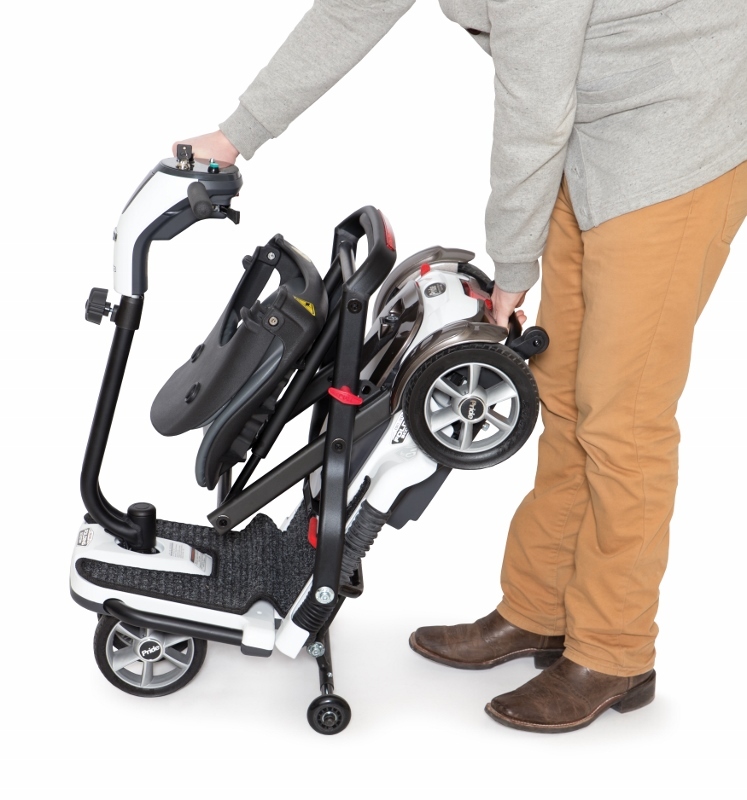 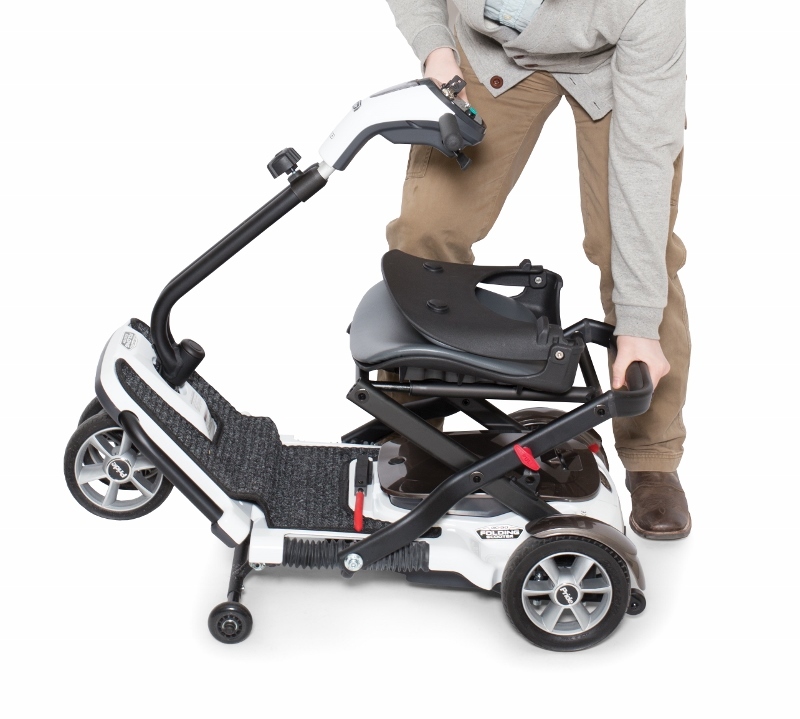 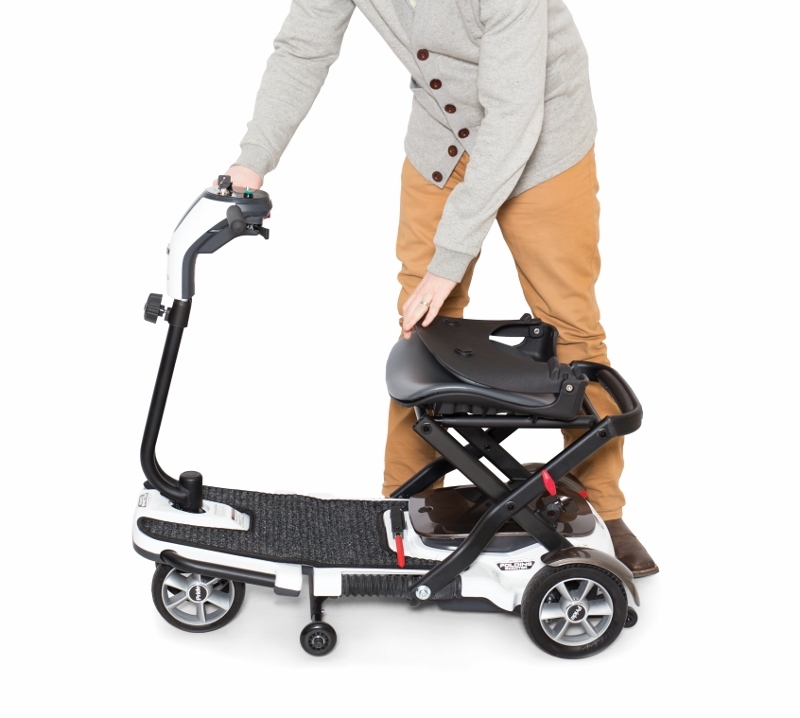 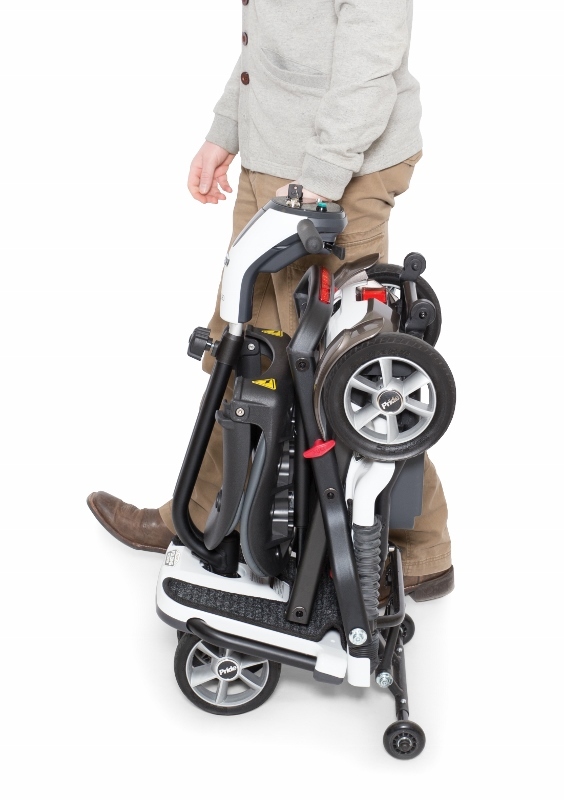 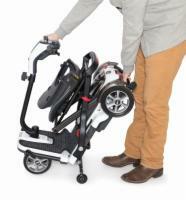 The Go-Go Folding Scooter is an amazing model that offers a super portable design and the performance of a Pride mobility scooter. 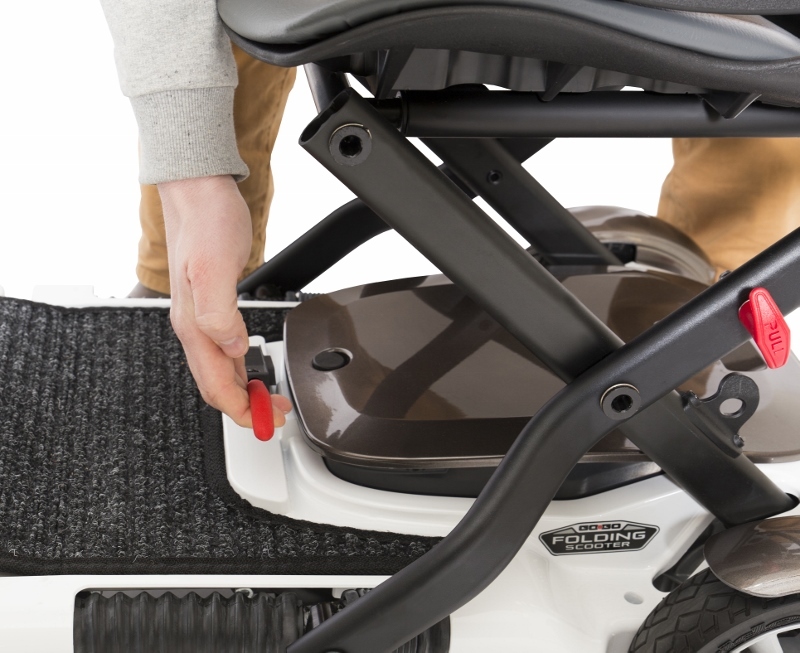 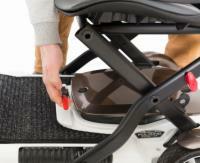 In just three easy steps, you can fold your scooter and be on your way. 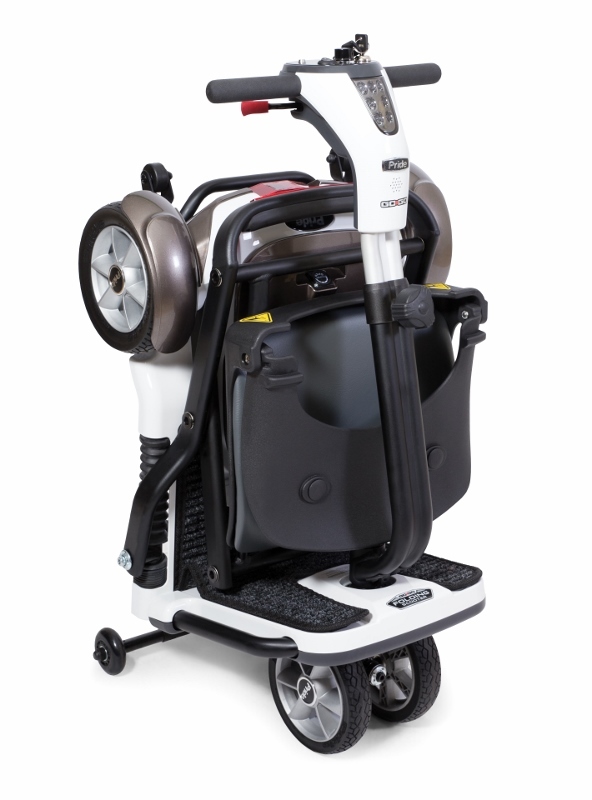 Transporting the scooter through hotels, airports and parking lots is just as easy as pulling a suitcase. If you love to travel and want a scooter that can keep up with your active lifestyle, then the Go-Go is for you! In addition to a unique foldable design, this innovative model also comes with a maximum speed of up to 4 miles per hour, a battery charge range of 12.5 miles, LED lights, adjustable tiller and much more. 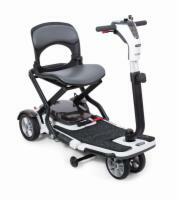 Call us today to place your order and take advantage of this great value.